Synthetic turquoise rose for crimping. 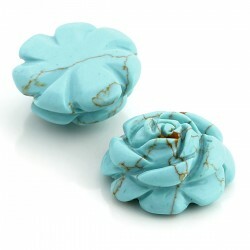 Showy rose of synthetic turquoise, which for their slots is ideal to crimp in jewelry or to be part of your creations. This stone measures 2.5 cm x 1 cm and weighs 5 grams.